Boerne Air Conditioning Experts is your trusted local source of all your heater replacement needs in The Dominion and the nearby communities. We know that many homeowners want to hang on to their heating and cooling systems as long as possible, in order to delay the cost of replacing a unit. But we want to educate homeowners on how beneficial it can be to replace a heating system before it has actually broken down. The cost of replacement is inevitable anyway, and the cost of ownership only continues to increase the longer you hold onto an old, worn down heater. 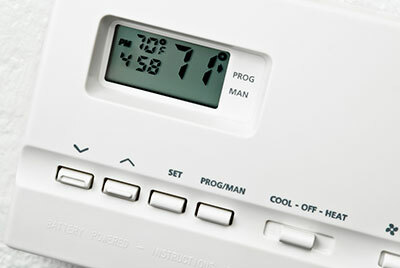 Heating systems that are ten years old or older tend to have a lot of wear and tear. Over the years, parts may become less effective, and a lot less efficient than when they were installed. Eventually, any part will wear away, and replacing a furnace part by part is far more expensive than replacing it all at once. Besides, you pay more each month to run an old system with deteriorating parts. We think you should consider a replacement system if your furnace is ten years old and experiences the following issues: ignition system troubles, failing motors, and low heat. One of the best reasons to replace a furnace is because your older unit still uses a standing pilot, one that must remain lit throughout the winter. Today’s furnaces use electronic ignition instead, which saves a lot of energy. Any trouble with the ignition system should be checked out by one of our technicians, but if the system experiences frequent issues with safety switches or remaining lit, you may consider replacement. Additionally, failing motors are often expensive, and having mismatched parts within a furnace (some old and some new) can create difficulties for the system later on. Replacing the whole unit means a new, more efficient system with compatible components. Lastly, if your furnace always struggles to reach the temperature on the thermostat, it could be that the furnace was not the proper size for your home in the first place and that it is using far more energy than is necessary. At Boerne Air Conditioning Experts, we understand that you want to use your heater for as long as possible. Everyone is looking to get the best return on their investments, after all. However, you cannot afford to push your heater beyond a reasonable point. 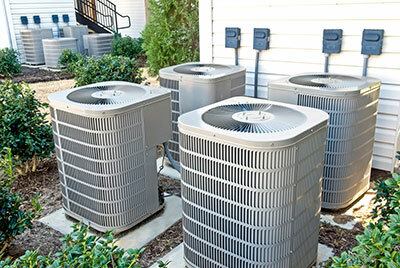 All mechanical systems will fail eventually, and if your system is approaching or has already surpassed its expected lifespan, you may want to replace it before it breaks down entirely. After all, this is likely to happen just when you need your heater the most. Frustrating as it may be to replace a heater that has not had a very long lifespan, doing so can help you to not only avoid discomfort, but mounting repair bills as well. If your heater is out of warranty, and is requiring frequent repairs, replacing it may simply make the most financial sense. The fact that your heater can be repaired does not mean that repairing it makes the most sense. For additionally information about both heater repair and replacement, give us a call at Boerne Air Conditioning Experts.